Ascension Providence Home Care is a full-service home care provider. It is licensed by the State of Texas and Medicare-certified. The agency services a 60-mile radius of Waco. All staff members are bonded and insured. The agency has a full staff of therapists to provide rehab and an enterostomal therapy nurse who will follow wound and ostomy patients after discharge from the hospital. 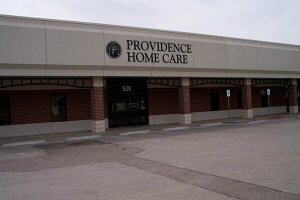 Ascension Providence Home Care’s goal is to promote, maintain, and restore each patient’s health in the sanctity of their home, as well as to maximize their independence. As part of the continuum of care, our services aim to shorten hospital stays or provide an alternative to nursing home placement.